Clever! Like a fabric print. artfully and beautifully. Lovely endeed. I love the way you caught the leaves on there. That’s a beauty, well done! Great looking fall harvest full moon. 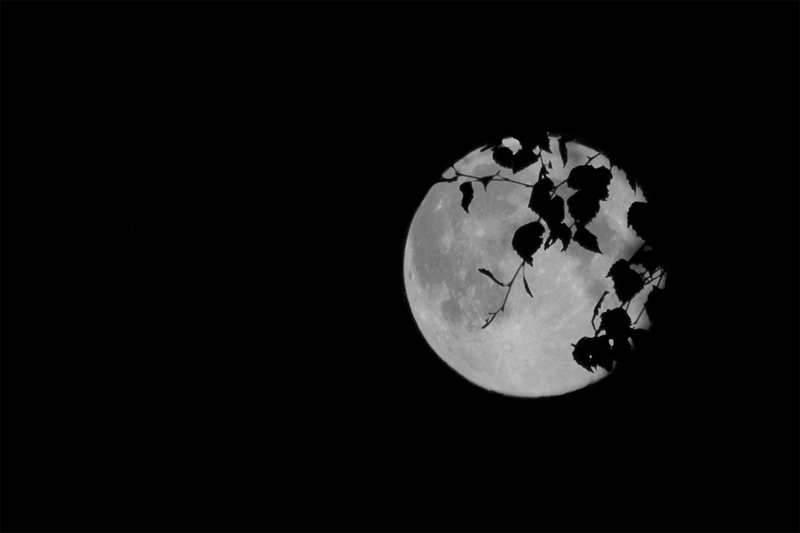 Lovely moon, – nice in B&W! Åå,- dette var lekkert,- veldig effektfullt med sihuettene av bladene i front! So beautiful with the leaves – like a chinese painting. So lovely moon! Wonderful with the leaves! Love the way the leaves are posed against the moon. Nicely done!!! Did you have to combine two images to get this? I love moon shots .. and this is a gorgeous one ! What an amazing, full moon. So stunning! Amazing capture! Happy sky watching. I love how the plant is making an imprint on the moon. I’m amazed at how big the moon looks in your photos. My moon photos still turn out puny looking. Stunning moon photo. Absolutely perfect for this week’s challenge. Magnificent moon photo! and the silhouette…so mysterious!